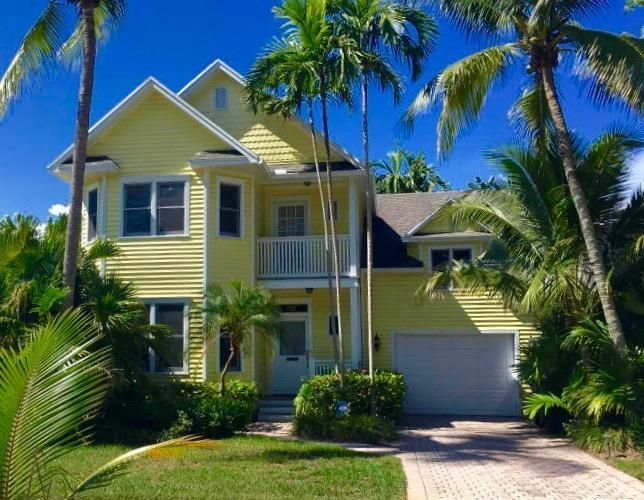 View all current homes for sale in Rio Vista, Fort Lauderdale, Florida. Click on a listing to the view property details, photos and maps. If you would like to change or expand your search criteria, go back to the Fort Lauderdale search page, or try using our Advanced Search. This superbly remodeled Rio Vista estate is a yacht owner\'s dream with 106\' of deep water frontage directly on the Tarpon River, just minutes by boat to the inlet. New seawall and composite dock with 50 amp power and 24,000 lb. boat lift. Enjoy spectacular views and a boat parade every day! This rare ranch style home has old Florida charm and was tastefully updated in 2014. Spacious floor plan features beautiful wood and stone flooring, gas fireplace and gourmet kitchen with butler\'s pantry and water views. Perfect for outdoor entertaining, beautiful large gazebo with summer kitchen and meticulously maintained lawn. Custom lush landscaping throughout. Attached 4 car garage and full A/C workshop. Walking distance to Las Olas and conveniently located near downtown and major highways. MLS #F10162217 Listing courtesy of Premier Estate Properties Inc. This secluded riverfront residence provides privacy and elegance within a tropical setting on the banks of New River in Fort Lauderdale. Mature foliage surrounding the pool creates the impression of a private island, all with the backdrop of boats along the waterway. The 15,000 sq ft property enjoys 103\' of prime river frontage with a concrete dock spanning the entire length of the waterfront and features a boat lift. The large lot is set on one of the best streets in the city within the exclusive enclave of Rio Vista. Inside the home we find exposed beam ceilings in the main living area, Jerusalem stone countertops in the kitchen, cherry cabinets and granite in the bar and a built-in 250 gallon saltwater aquarium. The covered outdoor summer kitchen makes this space ideal for entertaining. NEW CONSTRUCTION 2019 5 bedroom/5 bath coastal contemporary home with over 4,000 sq ft of A/C living space, located in prestigious Rio Vista. Minutes to Ft. Lauderdale beaches, Lauderdale Yacht Club, Downtown Las Olas and the airport. Florida living at its best, this spacious open floor plan home is built with the utmost attention to detail featuring a chef\'s kitchen with a 10\' island and Wolf/Sub-Zero appliances. Entertainment and dining areas overlook the lushly landscaped backyard w/saltwater pool & spa. Covered patio w/full summer kitchen. Downstairs bedroom with en suite. Upstairs includes a luxurious master suite with 2 huge closets and a stunning master bath, plus 3 additional bedroom en suites and laundry room. Energy efficient home with LED lighting, gas appliances & much more!! Rare opportunity to own a double lot that currently sits on two separate folios in the highly sought after Rio Vista neighborhood. Unlike any other property in the area, ideal for guests, growing or multigenerational families. Rio Vista charmer. 3 bed 2.5 bath with a converted garage. Impact windows, new roof, open floor plan, fireplace and wood floors. Situated on a beautiful tree-lined street. Pool has southern exposure, with a fenced in yard. Easy to show! Fantastic development opportunity in Rio Vista, no open permits, liens or violations. Huge lot! One of the oldest and most affluent neighborhoods in Fort Lauderdale, Rio Vista means River View in spanish. This neighborhood is famous for it's spanish moss covered tree lined streets, incredible architecture and old Florida charm. This community of more than 1000 homes lies east of Federal Highway US1 and continues to the Intracoastal Waterway to the East. It is also bordered by the New River to the North.